Martin Gould won a dramatic final frame against Judd Trump at the 918.com German Masters to triumph 5-4 and reach the semi-finals. The tournament has produced a series of surprise results this year and not a single player ranked within the world’s top 16 has made it to the semi-final stage. The last time that happened in a ranking event was the 2012 Australian Goldfields Open. Gould will face Graeme Dott for a place in the final at 2pm tomorrow, then Belgium’s Luca Brecel will take on Kyren Wilson at 8pm. Londoner Gould has had an impressive season so far, highlighted by a run to the final in Australia in June, and took another big scalp tonight in Berlin as Trump’s hopes of winning his first title of the season dissolved. There was never more than one frame between them, Gould making the highest break with a 100 in the first. In the decider, both players missed several chances and it came down to the last red. 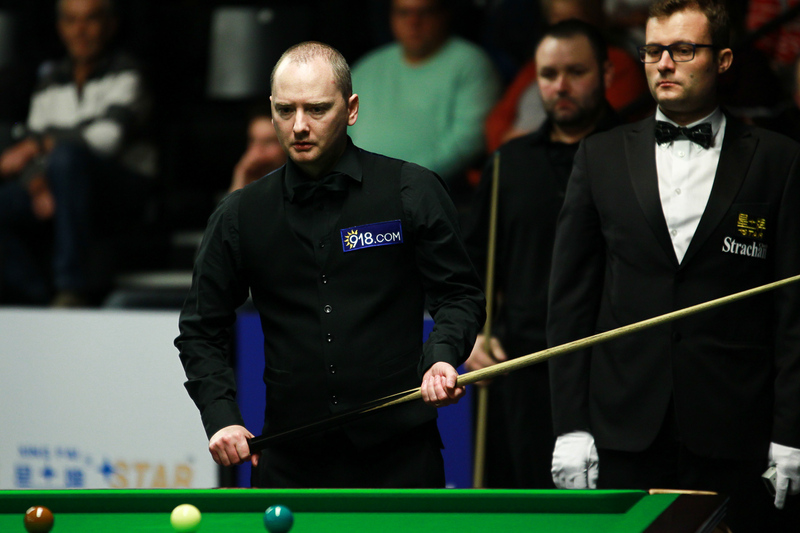 Trump, trailing 31-50, missed a tricky pot to a centre pocket and left his opponent partially snookered, but Gould was able to swerve to hit the red and was lucky to see the white finish behind the pink. Trump escaped from the snooker but left his opponent a simple pot, and world number 20 Gould cleared for victory. 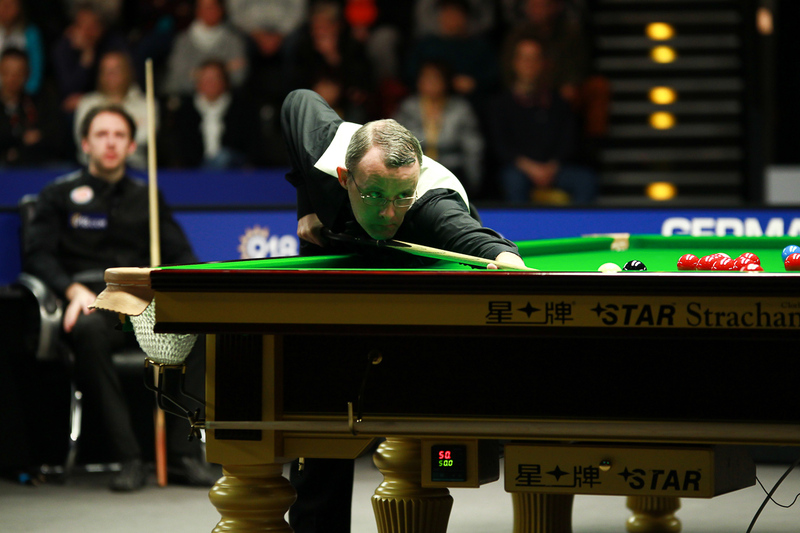 Former World Champion Dott stormed into the last four with a 5-1 win in a tartan tussle against Stephen Maguire. A break of 88 gave Maguire the opening frame but Dott levelled the score then crucially made a 31 clearance to steal the third. The Pocket Dynamo made a 65 to lead 3-1 and won the fifth as well. Maguire looked set to pull one back until he broke down on 61 in frame six, and Dott clinched the result with a superb 71 clearance. Dott was a semi-finalist here in 2011 and since then has reached only one other ranking semi, at the 2013 International Championship. Brecel came from 4-2 down to beat Mark Joyce 5-4, winning the last three frames with top breaks of 79 and 102. The world number 36 is through to his second ranking event semi-final, having to lost to John Higgins at the same stage of the Welsh Open last year. On a night of close finishes, Wilson edged out Ryan Day 5-4 to boost his hopes of winning a second ranking title of the season, having won the Shanghai Masters in September. Kettering’s world number 24 Wilson trailed 4-2 but won the next two frames with clearances of 34 and 49 then took a scrappy decider 52-13.